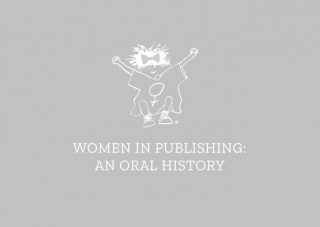 One of my favourite, favourite quotes of all from Women in Publishing was from the conference, where we had Julia MacRae talking, because she was one of the only women who had her own named imprint. Julia MacRae Books was her thing, and surrounded by Hamish Hamilton’s and Victor Gollancz’s and everything else. It was really, really unusual. And you suddenly saw this woman, and I remember talking about it afterwards, saying that she’d looked up and suddenly seen this entire room full of women and just thought, My God, yes, we do have something in common. You know, I thought of myself as being a different generation and here to talk about my life as a professional woman. But, God yes, we’re all in this together. And she thought of that as a break through. And it was really quite a revelatory moment in the Conference as well. You suddenly saw someone’s consciousness being raised.